Aye yi yi…iPhone 7 and 7 Plus. My decision between these two have been so back and forth, it has been driving me insane. For the previous two iPhone launches, I stuck with the smaller 4.7-inch devices. For me, the iPhone 6 was underwhelming coming from the 5s. I don’t know what it was about it but I was not amazed by it. Going to the 6s from the 6 I expected to be even less happy with the upgrade, but the speed difference between the 6 and 6s was very noticeable. I can honestly say the 6s was my favorite iPhone thus far. Cue September of 2016. 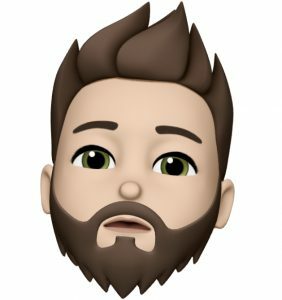 A new iPhone was upon us. My previous employer would not allow its employees to have the newest iPhone at launch, so I had some time to decide. I vowed that I was going BIG this year. My buddy had the 6 Plus previously and loved it and he was set on going back to the bigger size after having the smaller one this last year. I have small hands. I’ve tried multiple large Android phones and none of them have made me that happy. I chalked that up to them not being iPhones. November came around and I was finally able to order the new iPhone. 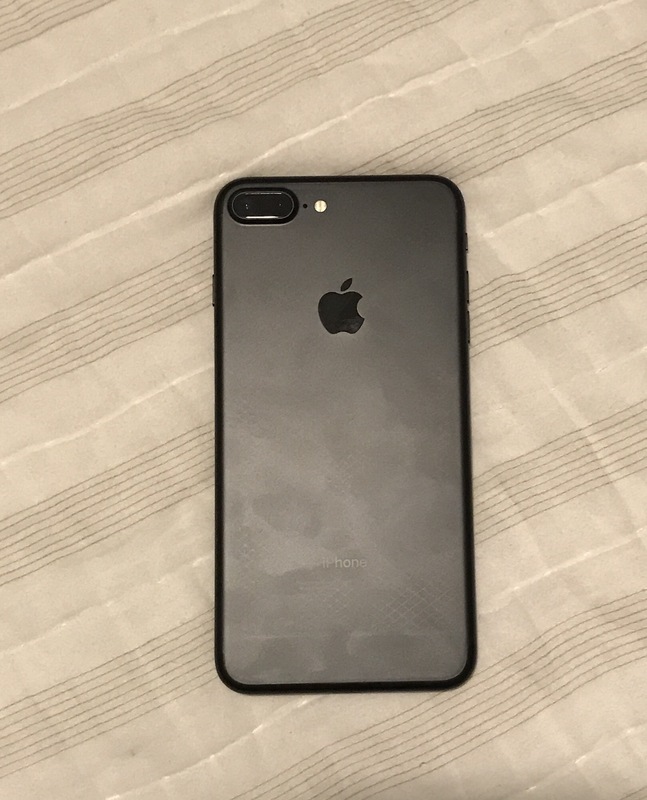 My choice: the iPhone 7 Plus 128GB in Black (matte finish). I had to give the Plus size a shot. My buddy kept telling me “You’ll never know until you give it a try”. I am very glad I did. As far as storage, 32GB is simply not enough anymore. Between higher resolution pictures, larger apps and me starting to use Apple Music I needed a larger storage. Coming from a 64GB 6s, 128GB seemed logical. 256GB, as of now, is not quite needed. I was set on the matte Black finish from the get-go. Fortunately for me, that one was the one that was shipping right away. I wouldn’t of been against the Jet Black, but covering it up with a case kind of mutes that point. The camera on the 7 Plus is absolutely amazing. From the 2X optical zoom to the new portrait mode, it is probably my favorite smart phone camera. Over Thanksgiving I got to use it a good bit and fell in love. Probably my favorite feature of the phone. 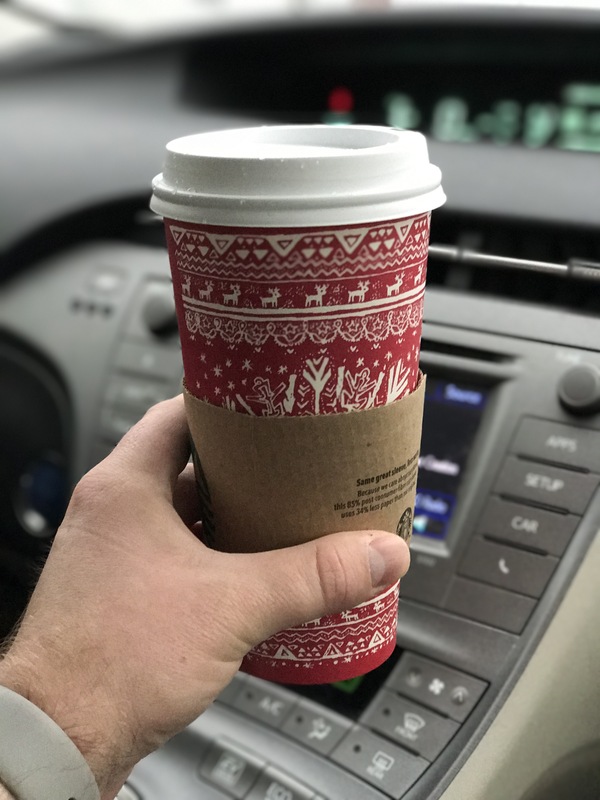 The only negative thing I have to say about the camera is that the portrait mode isn’t perfect. The reason being, it is still in Beta. Some of the pictures I have taken, mistakenly blurred the object that is in the foreground. Again, it is still in Beta so I cant fault it too much. When it works, I love it. Something that everyone hates is when your battery on your phone is about to die. I have a serious issue where I hate having my battery below 50%. I don’t know what it is, but I always want my phone to be charged up. 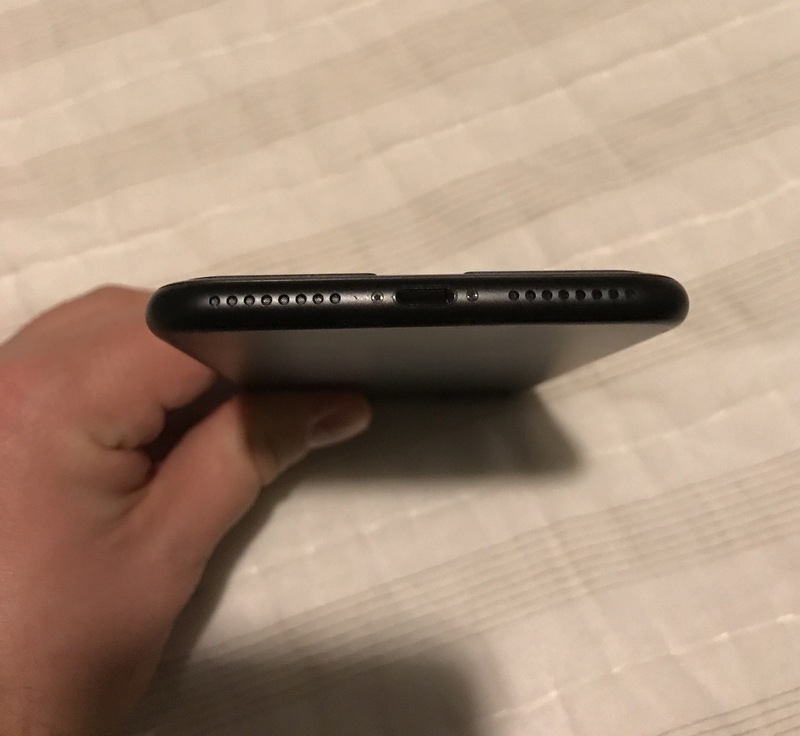 I always buy the mophie battery cases or a mophie Powerstation(*Affiliate Link* mophie Powerstation 3X (6,000 mAh) – Aluminum ) to keep all of my tech charged up throughout the day. My hopes with the 7 Plus was that I wouldn’t need one of those external batteries. That wasn’t necessarily the case. I am a very heavy user so I wasn’t too surprised but it still died before the end of the day and found myself charging along the way. With that being said, it is one of the best batteries in a smartphone that I have used. Way better than any Android phone I have used and outside of the iPhone SE, it is the best iPhone battery. I just want to end that day, around 9 PM, with about 40% left. ME. I want that for ME. For most people this battery is going to get them through two days of usage no problem. For ME, it is not quite there but at least it is a step in the right direction. As most of us know, Apple ditched the headphone jack. Now Apple includes lightning EarPods in the box and also a lightning to headphone jack adapter. They give you everything you need to listen to your music whether its with Apple’s own EarPods or your old 3.5mm wired headphones. 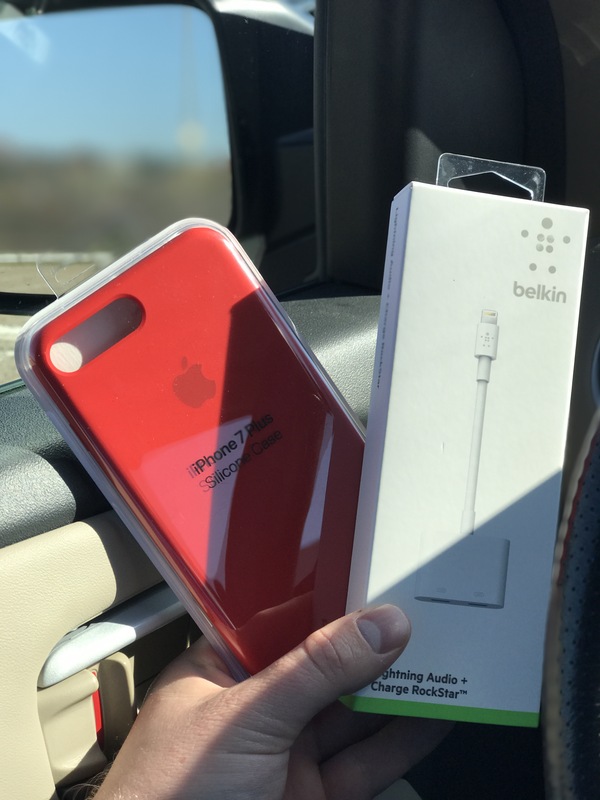 I did pick up the Belkin Lightning Audio + Charge Rockstar so I was able to charge my phone while listening to music in the car. I don’t see any issues with Apple removing the ancient jack. Everyone will have that one use case that it will impact them but so far I have not seen any scenario that couldn’t be worked around. DUN DUN DUN…This is the biggest (see what I did there?) deciding factor for me. As mentioned previously, I have tiny hands so I wasn’t sure how this experience was going to go. First and foremost, after about a month, I never dropped it! That was a real worry for me with a big phone. I started getting into running again. My 6s was a great size when I didn’t have pockets and had to hold it during my run. I will say I didn’t have any issues with the Plusses 5.5-inch size while doing any physical activity. Media consumption was fantastic. I watch a lot of YouTube and video podcasts. Having that big screen to look at pictures, videos or web browsing, I really enjoyed being immersed by it. With all of that being said, the size was too much for me. I liked all of the benefits of the bigger screen but not the bigger phone. It is very much so personal preference. All of my close friends swear by the big phone but for me, I prefer the small guy. What’s on my 7 Plus? The Apple leather case is by far my favorite case for iPhones. I used the Saddle Brown leather case because the leather wears very nicely over time and keeps the phone slim. I also used the Apple silicone case. It was nice for the slimness of the phone. I didn’t like the texture of it. Felt very slick and it attracted a lot of lent when taking it out of my pocket. I probably wont get a silicone case again. But if you’re interested here is a link to get your own. The other case I used was from Tech21 with one from their Evo Mesh line. I would put this case on when I needed something a little more protective. I would also use this one when going for a run due to its better grip. I am a firm believer in the tempered glass screen protectors. I know there are plenty of cheap screen protectors out there. Personally I use screen protectors from Zagg because of their lifetime warranty that they offer. The iPhone 7 Plus is by far Apple’s best iPhone, ever. It is their pride and joy. The camera is top notch and battery is one of the best out there. For me personally, I will be sticking to the 4.7-inch iPhone 7 this year. Unless my hands grow, I don’t know that I will ever be able to get used to the bigger size phone no matter what advantages it has over its little brother. I hope whichever iPhone you all decide to pick this year that it is the best iPhone for you!